1. Why did you decide to come on this camp? 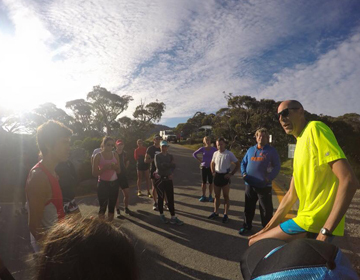 I had heard from a number of other runners the Jindabyne camp was one of the best camps due to the excellent facilities, the challenge of training at altitude and the beautiful trails to run on. It is always great to change your routine and to focus on your training without having to working about work and other daily demands. 2. How many previous SEAN WILLIAMS camps have you attended? 3. What was the highlight for you of this camp? 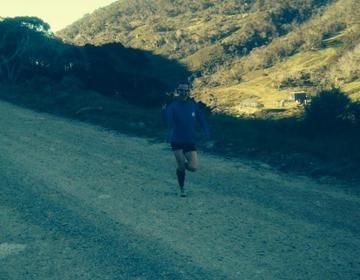 Definitely running to the top of Mount Kosciuszko. 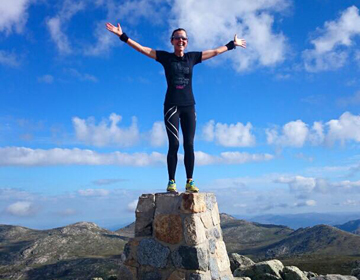 The feeling of jumping on the rock at the highest point of Australia was exhilarating. The session on the track was also a highlight, I would love to do more of that. 4. Did anything surprise you about the camp? What did surprise me was although challenging the runs are all within everyone’s capabilities despite the altitude and big hills. 5. Would you go to another SEAN WILLIAMS camp? Absolutely. I always try to attend at least one camp a year. 5.2 Did you participate in the non-running sessions? If so, which ones and what were they like? I participated in all the non-running sessions – strength, running technique and breathing. They were all excellent , particularly the running technique session as we could apply the hill work the next morning in our big climb. 5.3 What non-running social activities did you participate in? Camp is such a great time to catch up and get to know other members in the running squad. We had some great dinners out together in Jindabyne, swam in the lake, Breakfast in Thredbo village. and a great ‘bonding’ session icing the legs in Thredbo River. We also went to the Rodeo in town with a few other runners which was a real highlight. 5.4 What did you think of the accommodation? Accommodation is excellent. Fully equipped kitchen, rooms are serviced each day, the units we stayed in had lots of space. It was a great getaway from Sydney and couldn’t have been better timed after the craziness of Christmas time. The accommodation was so quiet. 5.5 Were there any ‘standout personalities’ at the camp? It isn’t a camp without Mo! Always a ‘standout personality’ and survived me almost taking him out as he helped me off the rock at the top of Mount Kosi. William not just icing his legs but swimming in Thredbo River is a standout for me. 6. Any suggestions for runners who are considering a SEAN WILLIAMS camp, but are not sure if it is for them? “Just do it” Don’t over think it and just go along and do what you can.